Pinewood Pro values each and every one of our customers. We strive to offer the best products at the best price. 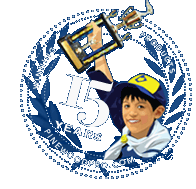 As Engineers, we continously seek to design new, innovative products for the pinewood derby market. We have helped our customers build cool, fast and winning cars for over 15 years. We love to hear from our customers. Please take a moment to read some of over 1500 customer reviews.